Sign up for daily emails to get the latest Harvard news. Michael R. Bloomberg was born and raised in Massachusetts, growing up in Medford before attending Johns Hopkins University and then Harvard Business School. Michael R. Bloomberg, an entrepreneur, politician, and philanthropist, served as New York City’s 108th mayor, ending his third term in 2013. Bloomberg was elected shortly after the September 2001 terrorist attacks in New York. As mayor, he balanced the city budget, reformed education, and boosted economic development. He also led high-profile campaigns to improve New Yorkers’ health, expanding anti-smoking regulations and proposing a ban on “super-size” sugary beverages, which was ultimately struck down in court. He took action to fight climate change, reducing New York’s carbon footprint by 19 percent and taking a leadership role among global urban leaders on the issue. Bloomberg was born and raised in Massachusetts, growing up in Medford before attending Johns Hopkins University and then Harvard Business School. In 1966, he was hired by the Wall Street firm Salomon Brothers, where he rose through the ranks, overseeing equity trading and sales and then information systems. Bloomberg left Salomon after the company’s 1981 sale. He launched Bloomberg LP in a one-room office as an information technology company with a vision of bringing transparency and efficiency to financial information. Today, Bloomberg LP is a global financial information and media company with 15,000 employees in 73 countries. After leaving office earlier this year, Bloomberg returned to his self-named firm and also focused his efforts on philanthropy through Bloomberg Philanthropies, a data-driven charity with five areas of focus: public health, arts and culture, the environment, education, and government innovation. Earlier this year, United Nations Secretary-General Ban Ki-moon appointed him U.N. special envoy for cities and climate change. Among his causes, he has supported his alma mater, Johns Hopkins University, where the School of Hygiene and Public Health was renamed the Bloomberg School of Public Health in recognition of his support. All told, he has donated more than $2.4 billion to a variety of causes. From her debut novel in 1982, “The House of the Spirits,” author Isabel Allende’s work has been a savory charquicán of history, fable, politics, passion, and family that embodies the ethos of magic realism. Since then, Allende’s 20 books reflect her unstoppable work ethic (she starts a new novel every Jan. 8) and sample from a broad palette of literary influences and styles, from the tragic romance “Of Love and Shadows” to “Paula,” a memoir, to her most recent, the mystery “Ripper.” Allende’s work has been translated into 35 languages and has sold more than 60 million copies. The daughter of diplomats, Allende was a noted television and magazine journalist in Chile during the late 1960s and early 1970s. She fled Chile in 1975, living in exile in Venezuela following the brutal military coup by Gen. Augusto Pinochet. The uprising led to the death of her cousin, Salvador Allende, then the nation’s first socialist president. Now a U.S. citizen, Allende lives in Northern California with her husband, the writer William C. Gordon. Long one of Latin America’s most prominent feminist voices, Allende formed the Isabel Allende Foundation after the death of her daughter in 1992. The foundation works with nonprofits in Chile and the San Francisco Bay Area to protect and empower women and girls. For decades, she told The Guardian last year, Allende has sustained a daily letter writing exchange with her 93-year-old mother who still lives in Chile. The Honorable George Bush was 41st president of the United States, serving from 1989 to 1993. During his White House tenure, the Cold War ended with the fall of the Berlin Wall and the dissolution of the Soviet Union; Germany was reunified; and the Gulf War — involving an unprecedented coalition of 32 nations — was executed to liberate Kuwait after it had been invaded by Iraq. In a lifetime of public service dating to 1964, Bush, a Republican whose father had served in the U.S. Senate, was also the 43rd vice president of the United States from 1981 to 1989 under President Ronald Reagan. Before that he was a congressman, ambassador to the United Nations, chairman of the Republican National Committee, chief of the U.S. Liaison Office in China, and director of the Central Intelligence Agency. At 89, he is the oldest living former president and vice president. During World War II, he piloted a U.S. Navy torpedo bomber, starting at age 18. Bush married the former Barbara Pierce in January 1945 and then completed an accelerated program at Yale, where he graduated Phi Beta Kappa in 1948 with a bachelor’s degree in economics. 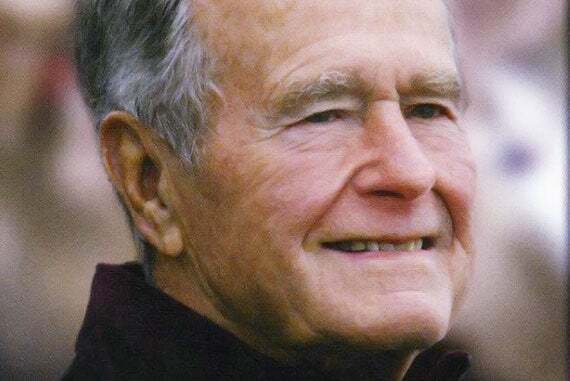 Bush was born on June 12, 1924, in Milton, Mass., grew up in Greenwich, Conn., and in 1948 began his oil business career as a sales clerk in West Texas. George and Barbara Bush have five children, 17 grandchildren, and three great-grandchildren. Son George W. Bush was 43rd president of the United States; son Jeb was governor of Florida from 1999 to 2007. In 1990, Bush signed into law both the Clean Air Act and the Americans with Disability Act. He also started negotiations for the North American Free Trade Agreement, which became law in 1994, during the Clinton era. Since leaving office, President Bush has raised millions of dollars for charity and lent his name to relief efforts after catastrophic hurricanes, earthquakes, and other disasters. The aircraft carrier USS Ó (CVN 77) was commissioned in 2009. In 2011, President Obama awarded Bush the Medal of Freedom. Her famous voice has vaulted her into the select realm of superstars known by only one name: Aretha. 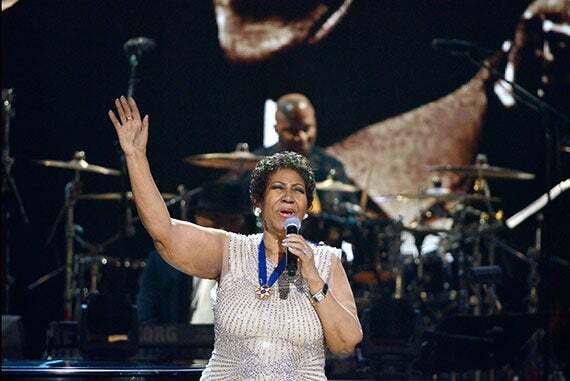 An amazing vocal range and flexibility and unmatched musicianship are the trademark talents that have led Aretha Franklin, “The Queen of Soul,” to a career spanning more than five decades and encompassing myriad styles. A musical chameleon, Franklin made her first recording as a gospel singer at age 14. She captivated crowds with R&B hits through her teens and early 20s. By the late 1960s and early 1970s Franklin had redefined the sound of soul with chart-topping classics including “I Never Loved a Man (The Way I Loved You).” Her iconic version of the Otis Redding song “Respect” became a musical sensation and an anthem for the feminist and civil rights movements. In the 1980s Franklin’s career was marked by a string of hit duets with artists such as George Michael, Elton John, and Whitney Houston. Other career highlights: her unforgettable turn in “The Blues Brothers,” a last-minute appearance in place of Luciano Pavarotti during the 1998 Grammy Awards when she sang the ailing tenor’s signature Giacomo Puccini aria “Nessun Dorma,” and her inspiring version of “My Country, ’Tis of Thee” during the 2009 inauguration of President Barack Obama. Aretha Louise Franklin was born in Memphis, Tenn., in 1942. She moved to Detroit with her family as a young child. Her love for music blossomed in New Bethel Baptist Church where her father was the minster and where she sang in the choir. She began her career in gospel music as a teen, later making the switch to secular music as singer, songwriter, and accomplished pianist. Franklin’s list of awards is a long as her list of hit songs. She was the first woman inducted into the Rock and Roll Hall of Fame, in 1987. She received the Kennedy Center Honors in 1994, and the Presidential Medal of Freedom in 2005. She is the winner of 18 Grammy Awards. Patricia A. King, J.D. ’69, an expert in medical ethics and family law, is the Carmack Waterhouse Professor of Law, Medicine, Ethics, and Public Policy at Georgetown University Law Center. 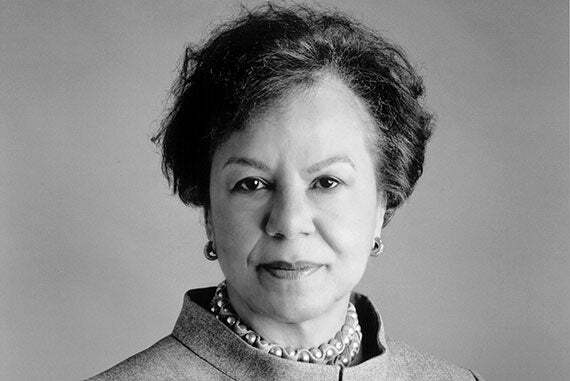 From 2005 to 2012 she was a member of the Harvard Corporation, the University’s top governing board. King is a pioneer in the legal realm of bioethics related to both stem cell research and experimentation involving human subjects. A longtime trustee of her undergraduate alma mater, Wheaton College (Mass. ), King had arrived there in the fall of 1959 as a 17-year-old scholarship student from the segregated South. After college, King worked at the U.S. State Department before arriving at nearly all-white and all-male Harvard Law School in 1966. Early in her career, King was a lawyer in the federal government. She served as special assistant to the chair of the Equal Employment Opportunity Commission, deputy director of the Office of Civil Rights of the Department of Health, Education, and Welfare (HEW), and deputy assistant attorney general in the Civil Division of the Department of Justice. Today, King is a member of the American Law Institute and the Institute of Medicine and a fellow of the Hastings Center. Related to bioethics and the law, King served on the HEW’s Recombinant DNA Advisory Committee, the President’s Commission for the Study of Ethical Problems in Medicine and Biomedical and Behavioral Research, the National Commission for the Protection of Human Subjects of Biomedical and Behavioral Research, and the Ethics, Legal, and Social Issues Working Group of the Human Genome Project. King and her husband, Pulitzer Prize-winning journalist Roger Wilkins, live in Washington, D.C., where he is the Clarence J. Robinson Professor of History and American Culture Emeritus at George Mason University. Peter H. Raven, a botanist who created the concept of coevolution and whose hand guided the noted Missouri Botanical Garden for more than 39 years, is the George Engelmann Professor of Botany Emeritus at Washington University in St. Louis. Coevolution is the process through which changes in one species — or a unit at another level of biological organization — influence the evolution of another. An example would be the ongoing evolutionary partnership between flowering plants and pollinating insects. Raven was born in Shanghai in 1936 and raised in San Francisco. He received a bachelor’s degree in biology from the University of California, Berkeley, in 1957 and a doctorate in botany from the University of California, Los Angeles, in 1960. He became the director of the Missouri Botanical Garden in 1971, gaining the title of president and director in 2006. Over the course of his tenure, he guided the institution as it became a world-class center for botanical research, education, and horticultural display. He has written numerous books and papers, including the popular textbooks “Biology of Plants” and “Environment,” both with co-authors. He is the recipient of many awards and honors, including a MacArthur Foundation “genius grant” in 1985 and the National Medal of Science, the nation’s highest scientific honor, in 2001. He was named by Time magazine a “Hero for the Planet” in 1999 and has held leadership positions in numerous scholarly societies, including the American Association for the Advancement of Science, Sigma Xi, and the American Institute of Biological Sciences. Art historian Seymour Slive understands the brilliance of 17th-century Dutch masters like Rembrandt, Frans Hals, and Jacob van Ruisdael — along with their rich landscapes and evocative portraits. He is Harvard’s Gleason Professor of Fine Arts Emeritus and former director of the Fogg Art Museum. Among Slive’s publications are “Rembrandt and His Critics: 1630-1730” (1953), “The Rembrandt Bible” (1959), “Frans Hals” (three volumes, 1970-74), “Jacob van Ruisdael: A Complete Catalogue of His Paintings, Etchings, and Drawings” (2001), and “Rembrandt Drawings” (2009). 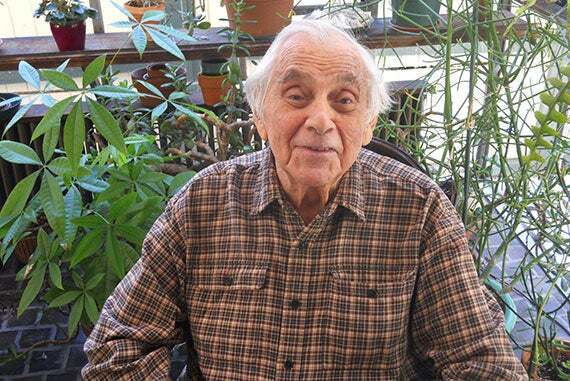 This son of Russian immigrants was born in Chicago in 1920 and received both his bachelor’s degree (1943) and his Ph.D. (1952) at the University of Chicago. He put his graduate studies on hold to serve in the Pacific Theater with the U.S. Navy during World War II. Before his arrival at Harvard in 1954, Slive taught at Oberlin College in Ohio and later at Pomona College in California, where he served as assistant professor of art and chair of the department. Slive became an associate professor at Harvard in 1957 and a fine arts professor in 1961. He was appointed chair of the Department of Fine Arts in 1968 until 1971. In 1973, Slive was appointed Gleason Professor of Fine Arts at Harvard. He was the director of the Fogg Art Museum from 1975 until 1991. During his directorship, Slive helped establish the Arthur M. Sackler Museum to house Harvard’s collections of ancient, Asian, Islamic, and (later) Indian art in 1985. During his career, Slive was also an exchange professor at the University of Leningrad (1961) and Slade Professor of Fine Arts at the University of Oxford (1972-73.) He is a fellow of the American Academy of Arts and Sciences, and a corresponding fellow of the British Academy and of the Dutch Society of Sciences. By the 1940s, the once-proud steel town of Gary, Ind., had been beset by poverty, discrimination, and unemployment, prompting a young Joseph E. Stiglitz, whose parents were born and spent most of their lives there, to ask why and what could be done about it. Now, as one of the world’s leading economists and economic educators, those questions still remain sharply in his focus. In his 2012 book, “The Price of Inequality,” Stiglitz posits that the nation’s growing wealth disparity is the deliberate-but-reversible result of a political system that rewards a rich and powerful elite, not an inevitability caused by technological advances or social change. 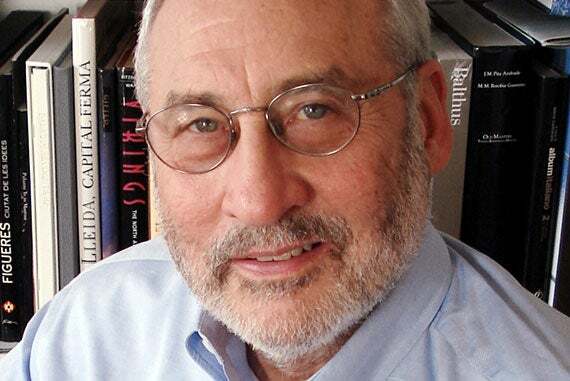 Stiglitz helped develop a new area of study, the “economics of information,” that considers the broad effects of decision-making in transactions where one side has better information than the other, work that led to his 2001 Nobel Prize in economics. Stiglitz attended Amherst College in 1960, but left after just three years at the urging of faculty who had arranged for him to attend the Massachusetts Institute of Technology (MIT) with a modest fellowship. He went on to earn a Ph.D. in economics in 1967. Later, Stiglitz was awarded an undergraduate degree and an honorary doctorate from Amherst College. During the Clinton administration, he was a member of the Council of Economic Advisers from 1993 to 1995, and then served as the council’s chairman from 1995 to 1997 before moving on to the World Bank, where he was the senior vice president and chief economist from 1997 to 2000. Stiglitz is currently a University Professor at Columbia University and has held professorships at Princeton University, Oxford University, Stanford University, Yale University, and MIT. 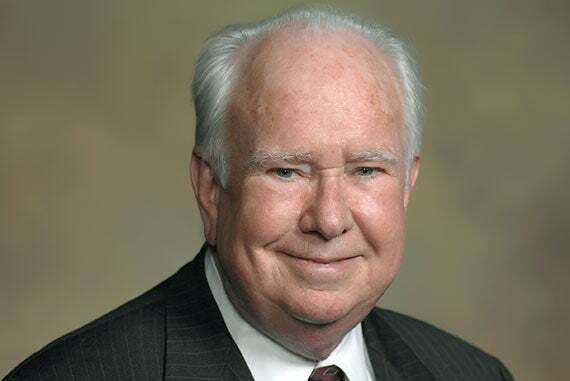 The author of several influential textbooks and best-sellers, he has received numerous honors, including the John Bates Clark Medal for economics and France’s Legion of Honor. Moana ′Ulu′ave hails from Tonga and a rich culture of storytelling. Outside Harvard, she helped lead a weekly writing course at a women’s prison in Framingham, Mass., as part of a program run by Boston University. “For a lot of women there, education is redemptive. You’ve been punished, that’s why you’re in prison, and the only thing of your own that you have is your mind," she said.